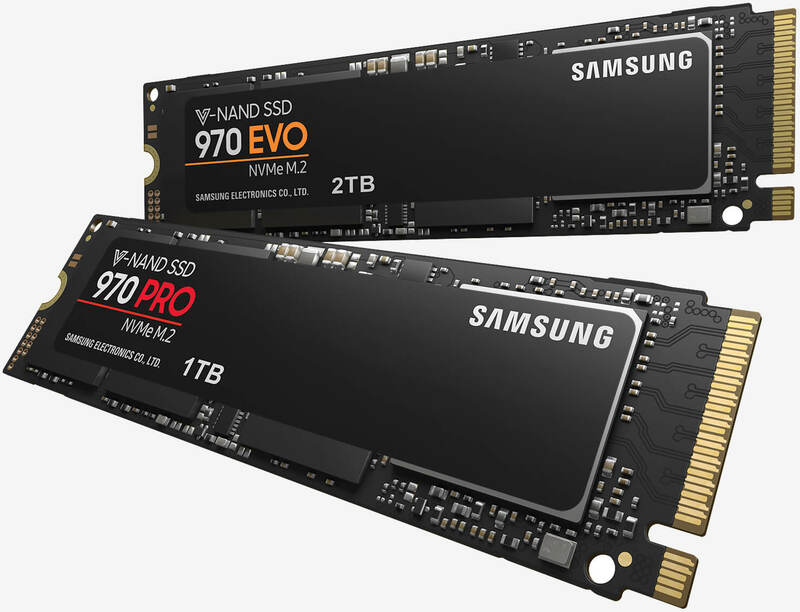 Samsung introduced its 970 Pro and 970 Evo series of NVMe SSDs late last month. With sequential write speeds rated at nearly 30 percent faster than the previous 960 series and accompanied by a five-year warranty, Samsung’s latest drives looked rather attractive. On Monday, the drives finally hit the market and given their cheaper-than-anticipated price points, they’re an even better value than previously thought. Samsung originally priced the 970 Pro at $330 for the 512GB variant and $630 for the 1TB version but over on Newegg , they can be had for $249.99 and $499.99, respectively. The budget-minded 970 Evo, meanwhile, also saw price cuts across the board although they weren’t nearly as steep as the Pro models. Samsung’s original prices for the 970 Evo were 250GB for $120, 500GB for $230, 1TB for $450 and 2TB for $850 yet on Newegg, you can scoop them up for $109.99, $199.99, $399.99 and $799.99, respectively. B&H Photo has similar pricing after “instant savings” are applied. To say these new drives are fast would be a bit of an understatement. The 970 Pro, for example, is rated at up to 3,500 MB/s for sequential reads and up to 2,700 MB/s on the write side with random reads and writes of 500,000 IOPS each. Samsung’s decision to slash prices at launch puts increased pressure on the competition and further solidifies its place atop the consumer SSD heap.